I learn something new every time I visit a garden. 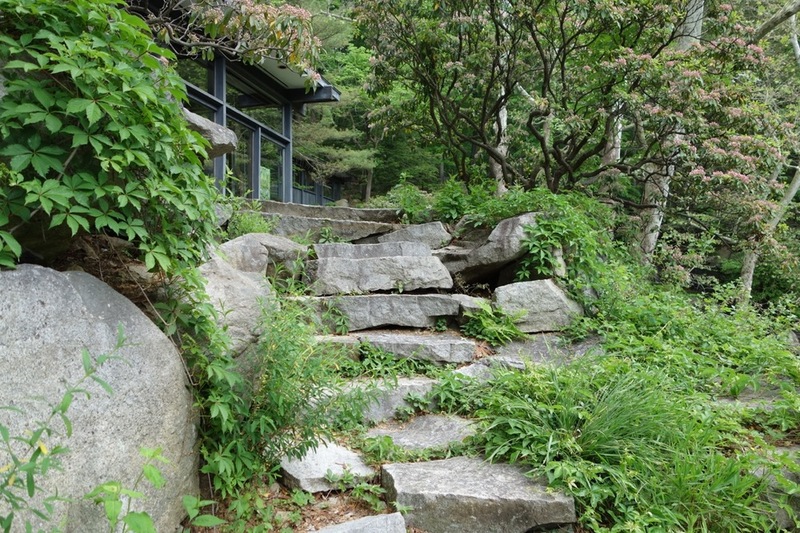 What struck me the most about Russel Wright’s home and studio, Manitoga, was how he used garden paths as his organizing principle for the landscape. Everything is selected and arranged so that the visitor has a deliberate experience. So it is no surprise that Russel Wright called the book he wrote in 1970 about his landscape, A Garden of Woodland Paths. “No. 1. Follow the natural contour of the land. 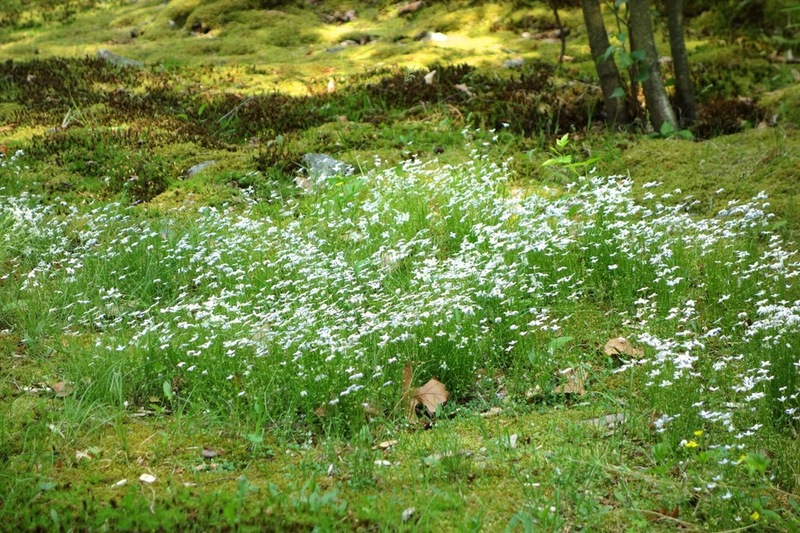 Look for a path that … the deer… may have made and use it as the inspiration and base of the plan….avoid straight lines. No. 2. Make it unnecessary to retrace your steps on a path… make it a complete contour. 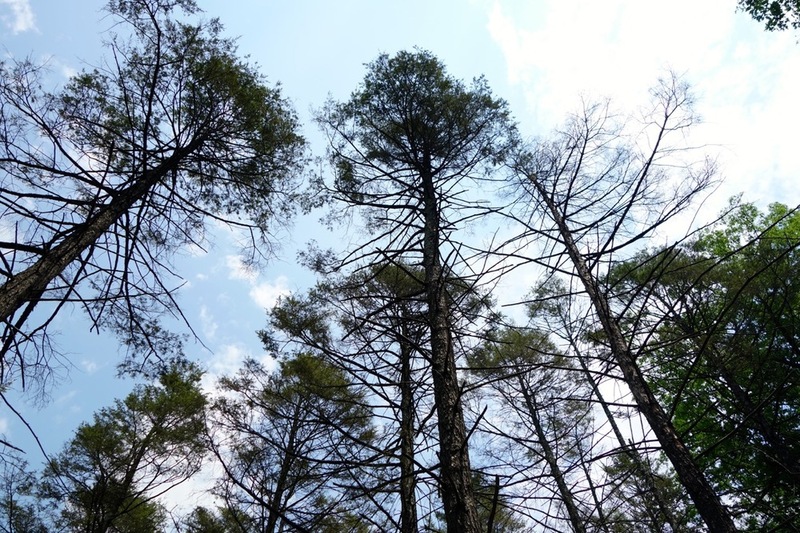 As seen in the images below, each section has something special: moss, ferns, tall pines, mountain laurel. Visiting the house and garden requires a guided tour that starts on the most important route, close to the house. 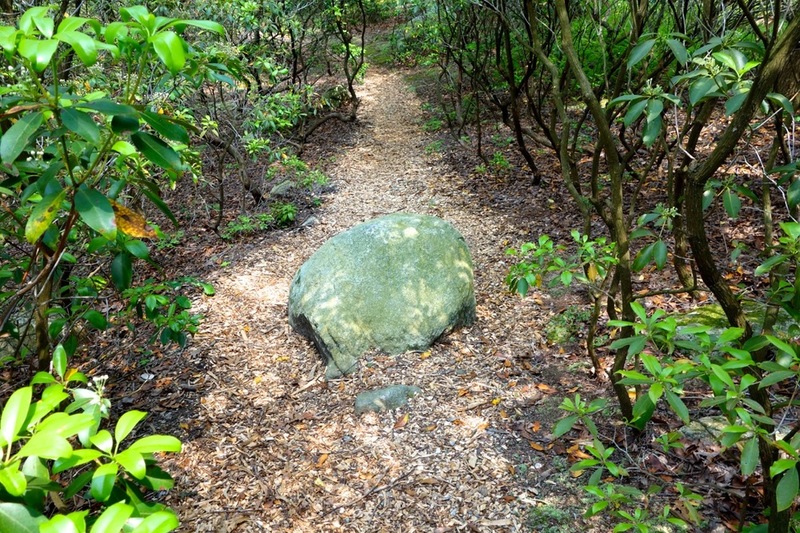 Wright explains, “The first woodland path I made is short (fifteen minutes)… I use it as an introduction to Nature. My most urban guests can walk it in a short time and feel that they have gone through the woods.” It has been arranged so that people can get a taste of the various features of the property. 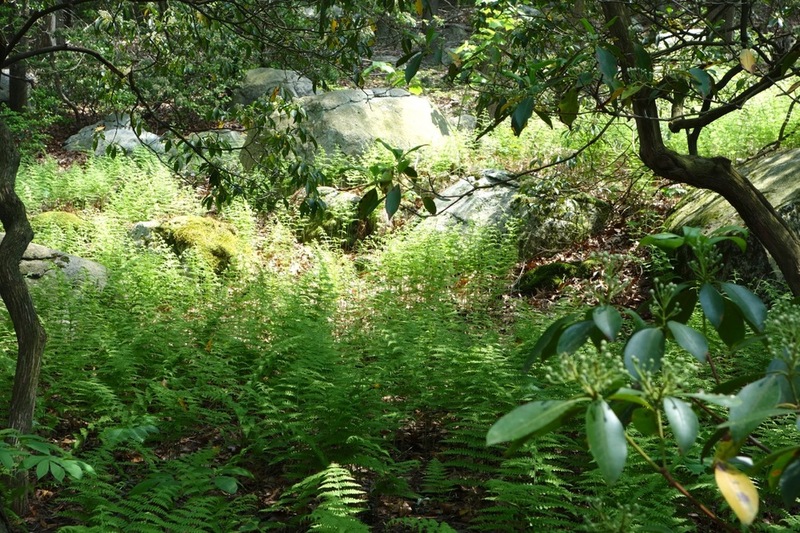 There is a rocky area intentionally kept bare of plants, a fern area, a moss garden, a hemlock grove, and a mountain laurel section. At its highest point, the path crosses the top of a granite cliff to reveal glimpses of the Hudson River and mountains in the distance. It also takes visitors to the base of the lagoon. Wright’s garden reminded me of the power of using the path as the central feature of the design. He got me to think how I can introduce a path in my own garden that I will start this fall. Is your garden designed around a path? 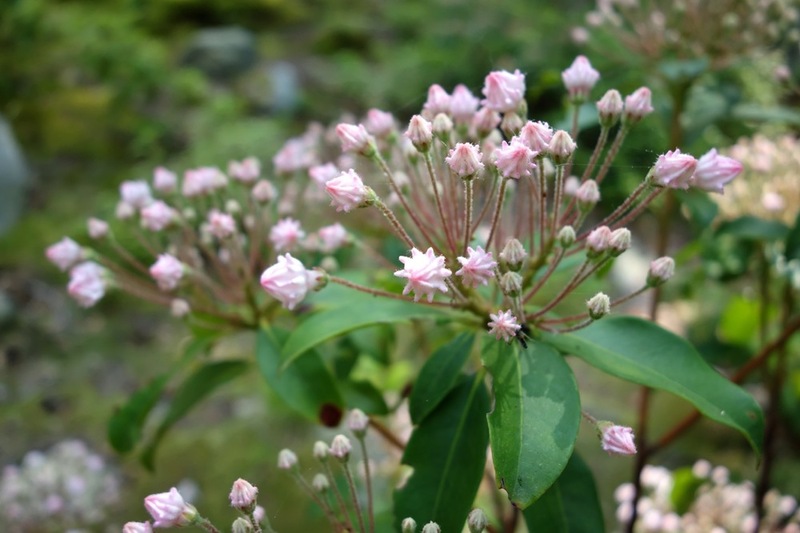 Check out more posts from my visits to Manitoga here. Wright's books show that his influences included Japanese prints, Persian gardens and pavilions, and here we see Julia Berral's The Garden: An illustrated history.